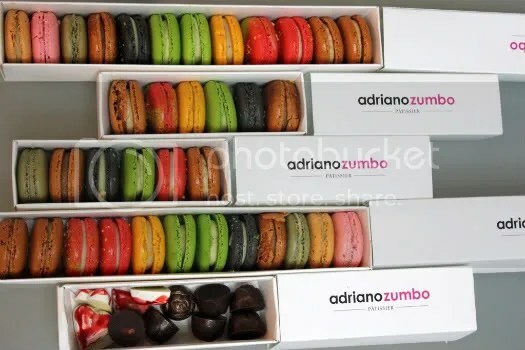 Before dad left for sydney I asked if he could get me some macarons from Adriano Zumbo. For those of you who watch Masterchef Australia you will probably recognize his name immediately! Looks of terror will always appear on the contestents’ faces when he enters the kitchen because it only means that they would have to replicate one of his astounding creations. I was blown off my feet when dad did return with the macarons. 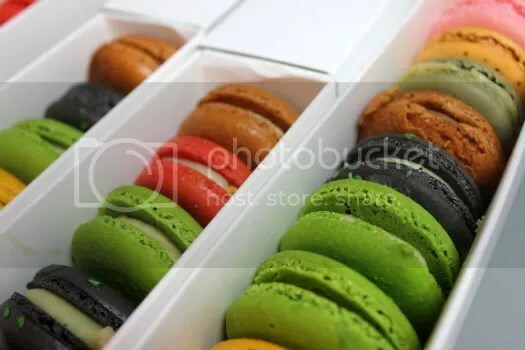 The story went like this: When dad went down on Valentine’s day all the macarons were sold out so he got the box of chocolates, just in case. 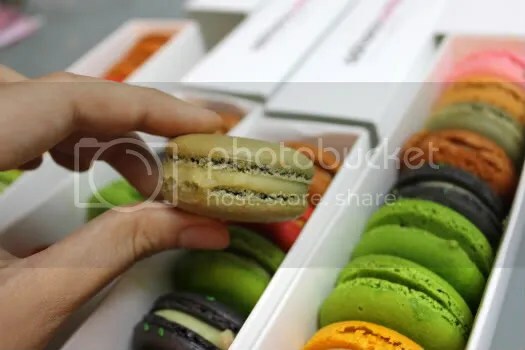 Fortunately, he managed to squeeze time to make a second trip down before he flew off and viola, 4 boxes of macarons with every flavour available for the day. 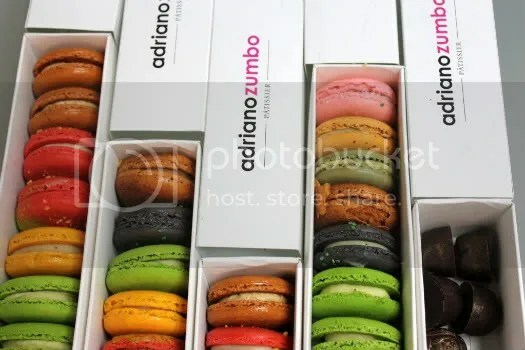 Adriano has worked with Pierre Herme before so naturally I had high expectations for his macarons. Disappointed I was not despite the sky-high expectations. A thin crisp shell with a moist cakey inner layer. 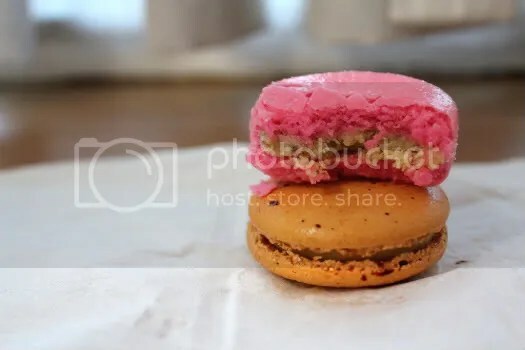 A thick layer of filling that melded so well with the macaron shell. And the flavours! Eucalyptus is what you see above. The medicinal taste was toned down to a mere fragrance that left a distinct aftertaste of Eucalyptus- I don’t think this flavour could have been executed any better than this. The pink one had dessicated coconut and raisins- a funky combination that was interestingly pleasant. Ginger below was strong and oh I loved the smoothness of the ginger ganache! You can really feel the heat in this one. Adriano has mastered the art of locking the flavours into the fillings. Cinnamon for once claims centre-stage instead of the usual pairing of apples or other spices. Banana is another unconventional flavour and I give this a double thumbs-up! Smooth banana ganache with bits of banana pulp in it. It was thick and luscious but that did not affect the tenderness of each bite. Brown with creamy filling- Salty Butter Caramel; he delivers what he promises! A nice balance of salty and sweet, an added plus is the sticky caramel layer inside. This was a hit amongst those who don’t like things too sweet. 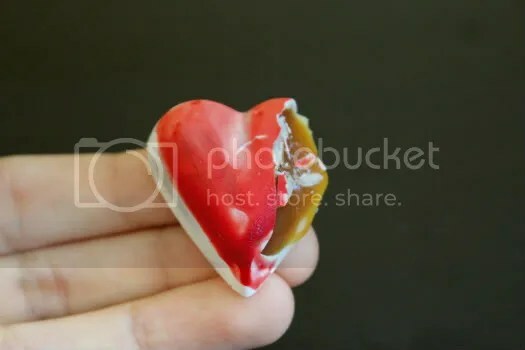 A bite into my pretty white chocolate heart revealed tangy passionfruit puree laced with mellow notes of vanilla. A nice contrast to the thin casing of milky white chocolate. 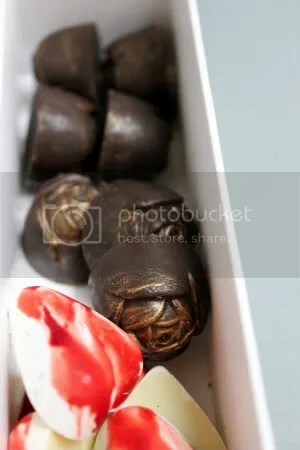 I liked the rose chocolates better though which was a thin layer of dark chocolate encasing strawberry jam and vanilla ganache. A brilliant combination of bitter, tangy and sweet plus the different textures. And don’t you just adore the pretty bronze detail on the roses? Adriano Zumbo’s macarons are now second best on my list right after Pierre Herme. Large variety of flavours, check! Moist tender bite to it, check! There were only two things that made it short from PH standard. 1. inconsistency in the piping of the fillings. 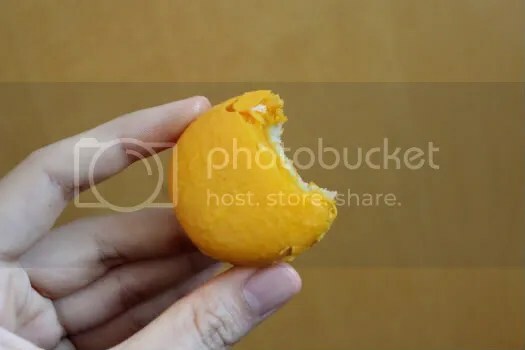 This is not only important (to me at least) in terms of aesthetic detail but also because the fillings keep the shell moist as it ages. 2. It’s still a little too sweet vis-a-vis PH. It can get too sweet for the palate when people like me devour a lot in 1 sitting 😛 But that said, it’s less sweet compared to all the other options out there. So if you live in Sydney LUCKY YOU. If you are studying there, LUCKY LUCKY YOU. Though Adriano’s website says the v8 cake is not available, I saw it in the video that dad took of their pastry counter. 8 different layers with distinctly different textures but all flavoured with vanilla. How cool is that? wow… you are your daddy’s girl eh! Though I like to think of myself as an independant girl! These photos are beautiful! 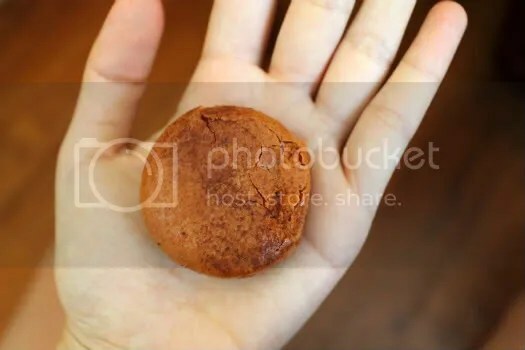 I wish I could try a macaron. They look delicious! Do try them some day 😀 They are my favourite dessert though it’s not a good idea to consume them too often since the macaron shells are made with only egg whites and sugar! Came to your blog through Dotinabox and enjoyed reading your posts! I’m a macaron gal too and those macarons all look soo soo good.. you sure are a lucky gal to sink your teeth into the macarons…. 😉 Envy!! !